Our research at the Neubrandenburg University of Applied Sciences aims to discover new ways of ensuring the stability and structural integrity of buildings, terrain, and other observed objects by moving geodetic deformation monitoring into the Internet of Things. The free and open-source application OpenADMS is a modern multi-platform monitoring system for automated observations in engineering geodesy. OpenADMS can be used to implement geodetical and geotechnical sensor networks within the Internet of Things. 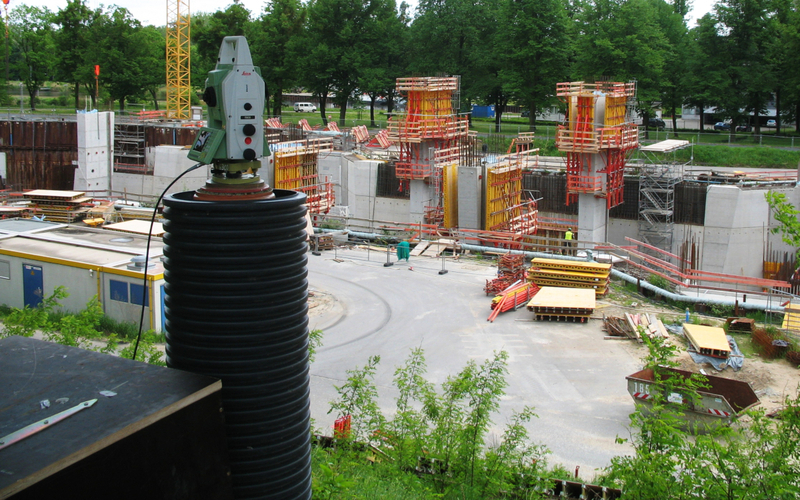 The monitoring system supports many geodetical, geotechnical, and meteorological sensors. Additional sensors can be added without programming, simply by modifying the configuration. Our monitoring platform is compatible to all modern computer architectures and a broad range of operating systems. You can run the software on single-board and embedded computers with various Unix derivates or Linux distributions. 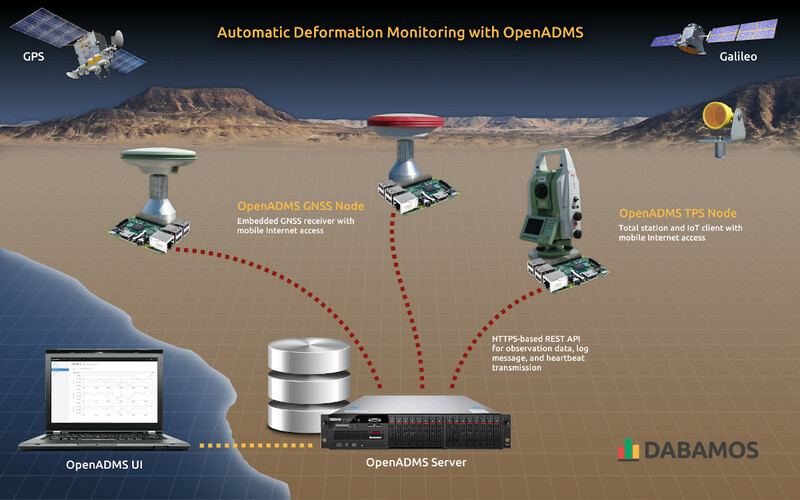 The OpenADMS Node application consists of distinct modules for sensor control and observation data processing. Extended functionality can be added through supplementary software modules written in Python 3. The native Application Programming Interface (API) enables network-based remote control and data exchange with third-party software. OpenADMS uses the MQTT message protocol for internal and external communication. All componentes of the project are open source. The software is licenced under BSD-2-Clause and can be used for academic and commercial purposes, free of charge. The OpenADMS Node software runs on single sensor node instances in a sensor network to obtain the measured data of total stations, digital levels, inclinometers, weather stations, GNSS receivers, and other sensors. The raw data is then processed, analysed, stored, and transmitted to cloud services or databases. OpenADMS Server is a set of scripts and configuration files for nginx and PostgreSQL to run an HTTP service for time series data, obtained from IoT sensor networks based on OpenADMS Node or 3rd party applications. A REST interface API is provided for sensor data storage and retrieval. Access the API from your web browser, with command-line tools like cURL or HTTPie, or directly from within your programming language. OpenADMS UI is a single-page application for the remote control of OpenADMS Node and OpenADMS Server instances. It is written in ECMAScript 2015 and relies on jQuery, Backbone.js, Underscore.js, Fomantic UI, and PouchDB. Licenced under CC Attribution 4.0.